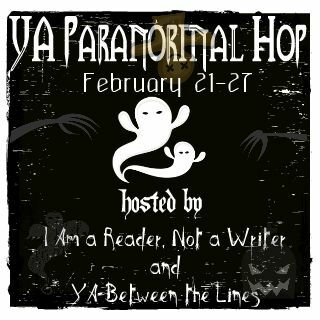 Welcome to the Young Adult Paranormal Giveaway Hop. This giveaway runs February 21-27 2013. Please fill out the form below. Five winners will be chosen to receive a copy of one of my paranormal eBooks. Winners can choose from the vampire themed, Secret Bloodline or the teens with powers, The Gifted Teens series - book one AND two (The Ultimate Sacrifice and Roots and Wings). Ugh... math was terrible! I love YA Paranormal books. Thinking back on my favorites, I would have to go with "Poison Study" and "Cinder." In "Poison Study," there is an unexpected romance with real, deep character development. I love the character of Valek. He appears to be inhuman only to be one of the very human characters in the story. In "Cinder," I appreciate how closely the author followed the fairytale of 'Cinderella' without being confined by it. There was still a lot of freedom in Marissa Meyer's universe and I kept find myself wondering how is she going to fit that into this story? Hmmm, tossup between English and Social Studies. I'm a bit of a math/science geek. I have to say art, probable because I was never artistically inclined and really loved going to school :) Thank you for your generous participation in this fun hop. I'd have to say that I hated Trigonometry--not because it was hard for me, but because the teacher I had reminded me of Ben Stein. I swear the guy wasn't human; nobody can maintain a monotone voice that long.